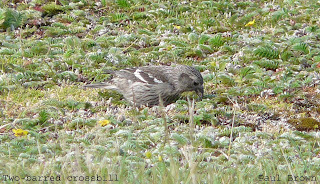 The PACIFIC GOLDEN PLOVER was still present and new highlights included a wryneck at Holland and a common rosefinch at Gravity. 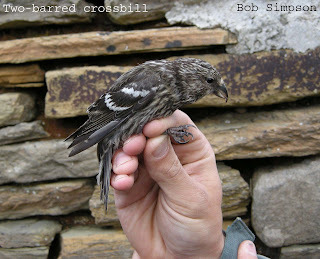 The rostrata redpoll was seen at the Shop, with a lapland bunting at nearby Holm. 11 white wagtails were at Lindswick and other common migrants included 4 willow warblers, a garden warbler at the Observatory, swift in the north and 8 grey herons at Garso. 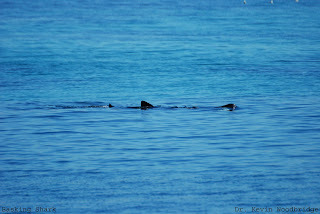 A basking shark was seen from the North end. The PACIFIC GOLDEN PLOVER was still present at the South of the island, with a grey plover in Nouster Bay, a greenshank and the 26 black-tailed godwit and 5 ruff still present on Gretchen Loch. A common sandpiper was seen at Bridesness and meadow pipits showed a marked increase with 94 logged. A blue fulmar was seen from the North end as were 10 manx shearwater, 6 sooty shearwater and 10 storm petrel. 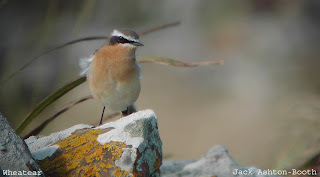 A great northern diver, 4 sooty shearwater and a manx shearwater were the pick of a morning seawatch, but most notably were the 22 wheatears seen coming in off the sea, with a good final day total of 202.Elsewhere a rostrata redpoll was in the Surgery garden, 4 grey herons were on Ancum Loch, 26 black-tailed godwit on Gretchen Loch and 2 willow warblers. Seawatching improved somewhat today with the highlight being 2 great shearwaters flying West late morning. 32 manx shearwater, 21 sooty shearwater were also seen.The PACIFIC GOLDEN PLOVER was amongst 435 golden plover, and still present were the common buzzard and 2 merlin. 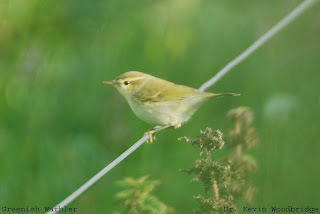 4 willow warblers were logged, and new migrants included 2 grey heron and a winchat. A morning seawatch produced 3 manx shearwater and 4 storm petrels, and also passing West were 321 fulmar and 115 gannet. The PACIFIC GOLDEN PLOVER was seen flying over Bridesness before spending the afternoon in Standing Stone Field, the wood sandpiper was till on Gretchen Loch with 11 ruff. Wildfowl numbers had been building slowly through the week with birds on Ancum Loch today including 111 mallard, 66 wigeon, 4 pintail and 6 tufted duck. 3 willow warblers and a chiffchaff were in the gardens at Holland and a good selection of raptors present with the common buzzard still, 2 merlin, a kestrel and a peregrine. The common buzzard was still present, frequenting the sycamores at Holland and 8 ruff were still on Gretchen Loch. 5 willow warblers were dotted around the island and at the North end were a sand martin and a kestrel. 76 knot were on the Links and 2 greenshank flew over. The morning produced little but for 3 willow warbler and a whinchat, but the afternoon soon brightened up the day with common buzzard in the North and a spotted redshank on Gretchen Loch, both of which are scarce birds on North Ronaldsay. A single whimbrel was in the North and on the Links were 6 bar-tailed godwit and 61 ringed plover, with the 11 ruff still remaining on Gretchen Loch. Just a handful of birds in today with a pied flycatcher at Holland, a whinchat by the School and a total of 8 willow warblers. A wood sandpiper on Gretchen Loch was new and also there were 2 black-tailed godwit and 5 ruff. A kestrel was seen in the north and the first song thrush of the autumn was by the Observatory late afternoon. A seemingly quiet day was soon livened up with the discovery of a PACIFIC GOLDEN PLOVER, amazingly the second of the summer. The previous, a smart summer plumage bird was last seen on the 6th of August, with today's bird a much duller individual with limited black on the underparts. Other birds included 11 black-tailed godwit and 11 ruff on Gretchen Loch, a willow warbler at Holland and the crossbill still around Westness. The ruff flock on Gretchen Loch had now increased to an impressive 10 birds, a green sandpiper flew over Twinyess and 2 black-tailed godwit were at Westness. Smaller migrants included just 4 willow warbler and a pied flycatcher at Holland. A grey heron, 2 merlin, a kestrel and a peregrine were seen in the North and an hours seawatch produced 4 manx shearwater, 1 sooty shearwater and a basking shark. 19 storm petrels were trapped overnight. 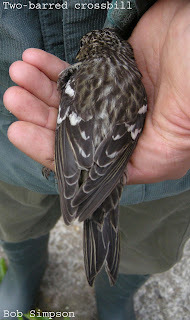 Very few birds new in and just a handful of yesterdays migrants still around. A redstart was on the West dyke by the airfield with another at the Surgery, and willow warblers had dwindled to 10 birds. The pied flycatcher remained at Greenwall as did whitethroats at Seness and Twinyess. A hen harrier was feeding around the Nether Linnay area where 2 whinchat and a common crossbill were seen, and ruff on Gretchen Loch had doubled to 8 individuals. 4 garden warblers and a reed warbler turned up in mist nets at Holland, with another of the latter species still present at Nether Linnay. Another good mix of species today with notably 2 wryneck, a barred warbler and a wood warbler new in. Common redstarts were seen in Dew Park and at Westness, a spotted flycatcher was at Seness and 2 pied flycatchers were noted. Common warblers included 3 whitethroat, 3 garden warbler, a single reed warbler, and willow warblers had risen slightly to 26. 7 whinchat were scattered along the West side of the island, 2 sand martins came in from the South and a number of raptors seen today with 2 merlin, and singles of kestrel, sparrowhawk and peregrine. Waders were represented by the seemingly resident buff-breasted sandpiper, 16 black-tailed godwit and both little stint and common sandpiper on Gretchen Loch. The first barred warblers of the Autumn today with a bird at Westness and another at Seness. Willow warbler numbers had increased to 15 and other new passerines included 4 garden warblers, a redstart at Holland and a whitethroat at Seness. 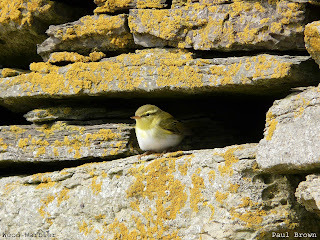 The wood warbler was still at Twinyess and the buff-breasted sandpiper still in the South as was a kestrel, and a collared dove was seen around the island. A common tern at Bridesness was only the second record of this species this year, and 2 great northern divers were on the sea at the North end. No real change amongst the waders with 2 ruff still on Gretchen Loch, 146 knot and singles of both green sandpiper and greenshank. A much busier day today with a number of new arrivals, most notably were a nightjar in off the sea at the North end and a wood warbler at Twinyess, with willow warblers increasing to 6 and a kestrel was by the seawatch hide. 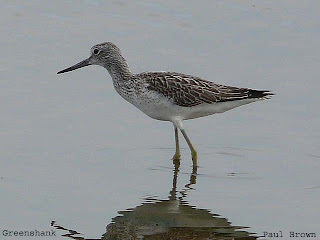 The buff-breasted sandpiper was again picked out amongst 789 golden plover, and other remaining birds were the grey heron and the 2 ruff on Gretchen Loch. A single green sandpiper was seen over and knot numbers had risen to an impressive 145, with 355 turnstone and 94 ringed plover also notable increases. Wheatears and meadow pipits were more evident today with counts of 35 and 57 respectively. A single sooty shearwater and 5 manx shearwater passed at sea and a great northern diver was on the sea. A very quiet day with a single willow warbler at the observatory and another at Holland being the only notable migrants. On a brighter note seawatching picked up a little with 10 sooty shearwaters in the morning. At Westness were 36 knot, 4 dunlin and 17 bar-tailed godwit. A grey heron was seen on Ancum Loch and a minimum of 3 willow warblers in the South of the island. 4 ruff were still on Gretchen Loch and nearby 7 purple sandpipers were roosting at the pier. The arrival of 2 willow warblers in the South was hopefully an encouraging sign of things to come, but same old elsewhere on the island with 2 black-tailed godwit in Kirbest Mire and 4 ruff on Gretchen. A whimbrel was on the banks and a total of 34 knot at the North end. Birds passing at sea included a sooty shearwater, 5 manx shearwater and 12 storm petrel. 4+ white-sided dolphin were also seen. The totals of three hours seawatching are 10 manx shearwater, 12 storm petrel, 630 fulmar, 1247 puffin and 80 gannet. Still quiet on the passerine front, and the only notable waders were a ruff on Gretchen Loch and 13 knot on Trolla Vatn. A peregrine flew through the island and a short-eared owl was feeding over Breck in the evening. Seawatching in the morning produced 7 manx shearwater, 1 sooty shearwater, and 1200 fulmars in two hours. The buff-breasted sandpiper was still present amongst 700+ golden plover, and the juvenile TWO-BARRED CROSSBILL was trapped at Holland in the evening. A swift was over Twinyas and on Gretchen Loch was a greenshank and 2 black-tailed godwit, with 3 more seen on Trolla Vatn Loch. Also on Trolla Vatn Loch were 38 knot and 58 redshank. The chiffchaff still remains at Holland and at Bridesness were 2 sedge warblers and 2 grey herons. Another miserable day but a few new migrants included 2 sedge warbler and a willow warbler at Bridesness and a grey heron on Garso Loch. A fieldfare at Parkhouse is presumably the bird present in July and a total of 51 snipe is a noteworthy increase. 15 bar-tailed godwit were scattered amongst flocks of curlew and golden plover, and at Westness were 46 knot and 6 dunlin. Todays seawatching highlight was a cory's shearwater flying west, with other passage including 47 storm petrel, 2 sooty shearwater and 7 manx shearwater. A much quieter day today with persistent rain hampering the afternoon's birding. All interest was amongst waders with 3 ruff and singles of greenshank and black-tailed godwit on Gretchen Loch. At Westness were 34 knot, 9 dunlin and 3 bar-tailed godwit. A single leach's petrel and 63 storm petrels were trapped overnight. The buff-breasted sandpiper is still present amongst the golden plover flock, and at Bridesness the 1st winter CITRINE WAGTAIL was again seen amongst the segs around Brides loch. The summering chiffchaff is still at Holland, and 3 whimbrel were feeding in nearby fields. On Gretchen Loch were a single black-tailed godwit and 3 ruff. 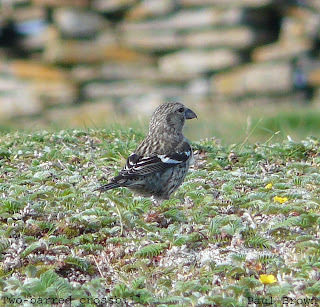 In the evening a juvenile TWO-BARRED CROSSBILL came in to roost with linnets, and is presumed to be the second individual from Wednesday. The buff-breasted sandpiper appeared to be the only remaining highlight of yesterdays trio, seen a number of times around the South before settling by the Observatory in the evening. Other notable sightings today were now 3 ruff and a greenshank on Gretchen Loch, and at the opposite end of the island 33 knot and 12 bar-tailed godwit were at Westness. 2 whimbrel were by the airstrip. Yet another exciting day with a long awaited juvenile TWO-BARRED CROSSBILL by the observatory in the morning, with a 2nd juvenile coming in to the evening linnet roost at Holland House. 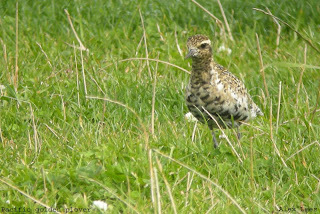 Shortly after the discovery of the first two-barred crossbill a buff-breasted sandpiper was found amongst 300 golden plover near Kirbest, and after two days unnoticed the PACIFIC GOLDEN PLOVER was seen again at The Old Kirk. Other sightings through the day included 2 greenshank and 2 whimbrel on Gretchen Loch, a willow warbler at Holland and a common sandpiper in Inglis Geo. 63 storm petrels were trapped overnight. A grey phalarope seen flying west on a seawatch was the highlight of a fairly quiet days birding. Other notable records were 2 ruff on Gretchen Loch and a whimbrel nearby on The Lurn. 23 storm petrels were trapped overnight. The CITRINE WAGTAIL was re-found at Bridesness for a short while before disappearing again. A willow warbler was at Holland and the ruff was still on Gretchen Loch. On The Links were 152 sanderling and 33 ringed plover, and 255 common gulls fed in recently cut hay fields. Seawatching produced just 5 manx shearwater and in the afternoon the second basking shark of the summer was in Nouster Bay, as was a grey heron. 87 storm petrel and 2 leach's petrel were trapped overnight. The PACIFIC GOLDEN PLOVER is still present but no sign of the citrine wagtail. A much quieter day with new arrivals being 4 willow warblers. The 2 greenshank and a ruff were still on Gretchen throughout, a single black-tailed godwit near Vincoin and the kestrel was seen around Breck. The highlight of an afternoon seawatch was of a pod of 6+ killer whales with 11 manx shearwater and 98 storm petrels also seen. A productive stormie session resulted in 96 storm petrel and 3 leach's petrels being trapped and ringed. The PACIFIC GOLDEN PLOVER was still present early morning near Holland, with a few new migrants including crossbill and grey heron in the South and singles of swift, merlin and sparrowhawk in the North. An exciting start to the afternoon involved a 1st winter CITRINE WAGTAIL heard flying over North Manse and seen heading towards Ancum, rather mobile but thankfully rather vocal the bird was tracked before settling and showing well behind Sangar. Whilst in search of the previous, 3 water rails and a flava wagtail were flushed from Ancum Loch, where a sand martin was feeding with swallows. Gretchen Loch hosted the majority of wader interest with a green sandpiper, 4 greenshank and a ruff. Elsewhere a new chiffchaff was at Holland, 11 whimbrel by Purtabreck and the fieldfare was on the airstrip. In an hours seawatch 789 puffin flew west. 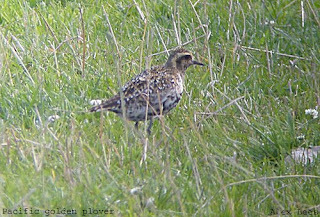 Birds remaining from yesterday include the PACIFIC GOLDEN PLOVER, fieldfare, kestrel and ruff. A reed warbler at Twinyas Pund is the first record of this species since September 2006, and 2 migrant sedge warblers were seen at Hooking and East Loch Park. A two hour seawatch early morning included a single sooty shearwater, 3 manx shearwater and a great northern diver. A flock of 11 raven were seen by Gravity and notable wader increases were of 55 purple sandpiper and 188 redshank.